What do customers usually think of immediate cutting prices on products or service? A glass-half-empty person will be sure that something is wrong, for example, quality is worsening. But a glass-half-full man will be happy since he is on a roll. When noticing price lowering stop imagining the worst. Maybe a producer just tries to attract more customers’ attention to the product in order to increase sales volumes and profits. Such permanent price reductions serve as part of deliberate marketing strategy. A market shouldn’t be depressed, that is why a temporary or permanent markdown in prices is a reasonable and effective way to make a market to flourish. An American motivational speaker and trainer, an author of dozens of books about lessons for success, Zig Ziglar said: “It’s easier to explain price once than to apologize for quality forever.” TemplateMonster follows his lead, takes care of its customers, and eventually offers special discounts and huge cutting prices without compromising quality. If you occasionally visit the OpenCart themes at the TM Marketplace, you will certainly notice how prices are permanently coming down. Besides, now the cut-price policy has achieved 45 percent reduction. For a juicy price you achieve the customized theme that corresponds to all contemporary requirements of web design and development. The templates previously cost $89 a piece now is possible to buy for just $49 each. All themes are of high quality with a number of customizable options and additional features. It is easy as pie to adjust them to customers’ needs and wishes. They are highly responsive and adaptive since both PC and mobile customers will be able to visit your website without effort. Buying one theme you get unlimited opportunities for your eCommerce business. You get up to 15 free images for lifetime usage. You achieve quality and comprehensive 24/7 support from TemplateMonster. There are numerous different engines suitable for eCommerce purposes, but OpenCart attracts much developers’ and web designers’ attention with its extensive functionality and easy installing process. 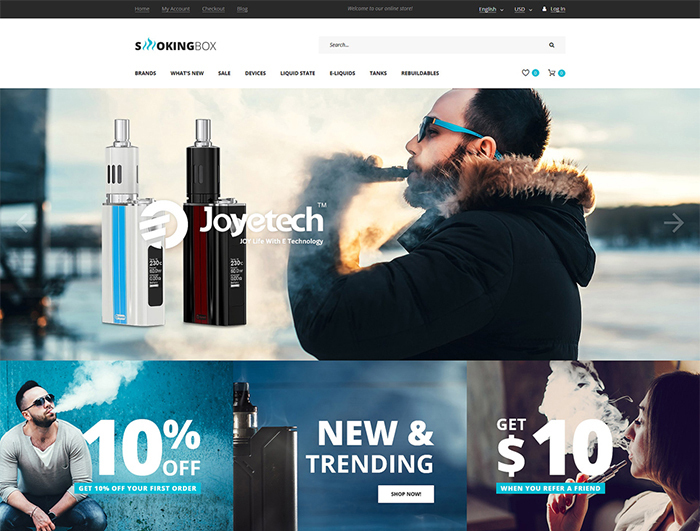 Moreover, it’s a powerful platform with the tones of fully responsive templates featuring multilingual support, SEO friendly layout, product quick review, user-friendly admin panel, shopping cart systems, and social integration. 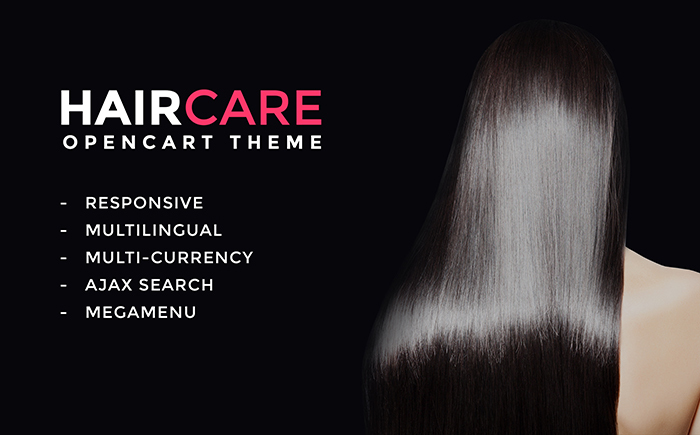 The premium and free OpenCart themes work for either mini eStores or huge online shops. 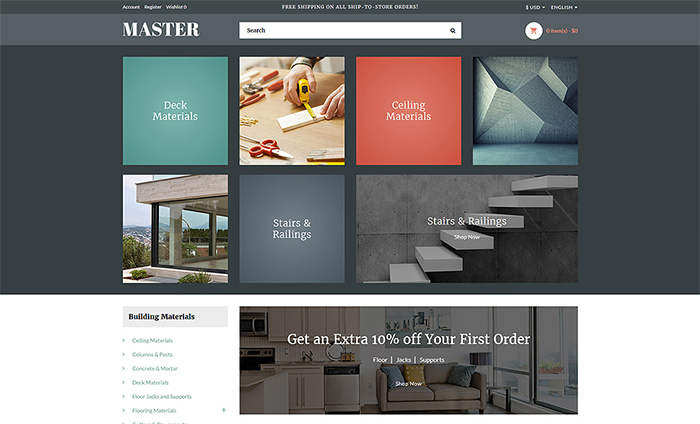 If you want to try this engine for creating your eCommerce website, you are welcome to choose a theme from the rich assortment of TemplateMonster Marketplace. Take a look at 20 best OpenCart themes of autumn-winter 2018 with modern, stylish and of course fully adaptive features. They will come in handy for those who are looking for ways to present their products online. The quality and fully responsive templates of any theme you need are available right now. Are you dreaming of own wood furniture eStore? 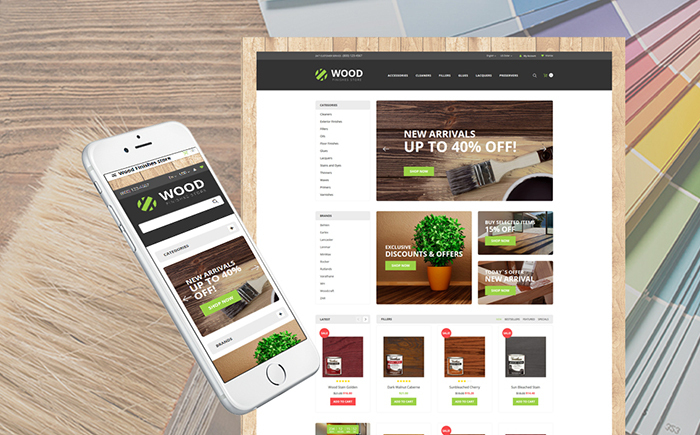 With this responsive and eye-catching OpenCart template your dream will soon come true. It provides with an easy admin panel, manageable shopping cart, and fully responsive design. An elegant slider, multiple sorting functions, and professional navigation will make customers fall in love in your store. 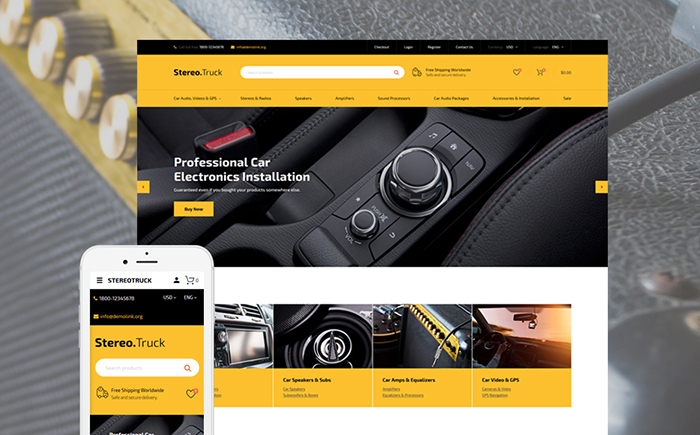 This well-functioned and elegant template is developed especially for car audio store. It is fully compatible with all modern devices and adaptive to any screen resolution, so your customers will have no problem to browse your website in terms of their device. The palette of your store interface is changeable with one click. Thanks to Ajax Search users will achieve search results while they type. 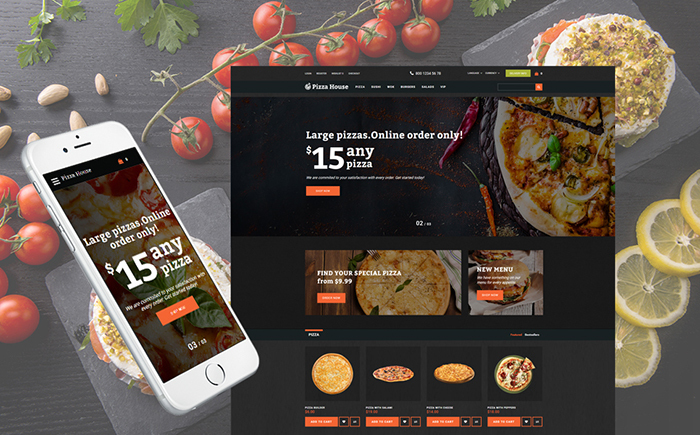 Fooder is waiting for its pizza maker… The template provides bright design, numerous editable features, and customer reviews option through social media. 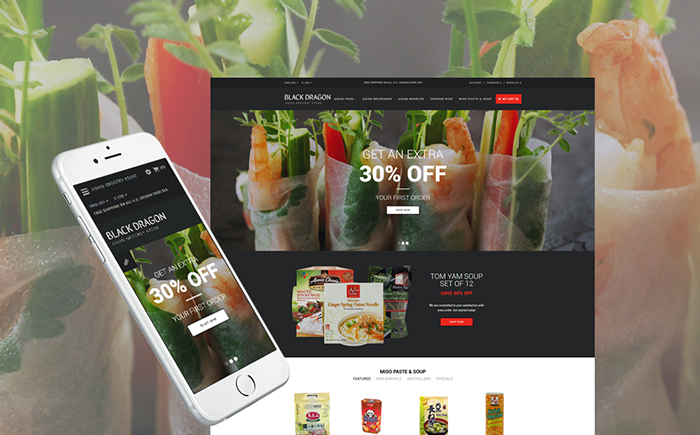 Moreover, the layout gives customers additional opportunities – Product Builder and food delivery service. Your customers will be able to choose the ingredients and adjust their order. Fooder looks simple but not dull, easy as pie but professionally designed. The OpenCart template, especially for a grocery store, can boast intuitively designed interface, cross-browser compatibility, and enticing design. The theme includes multiple quality extensions: a width screen slider, a blog page, online chat system, and other features serving to improve customers’ navigation throughout the website. The template is well-documented and easy to install. 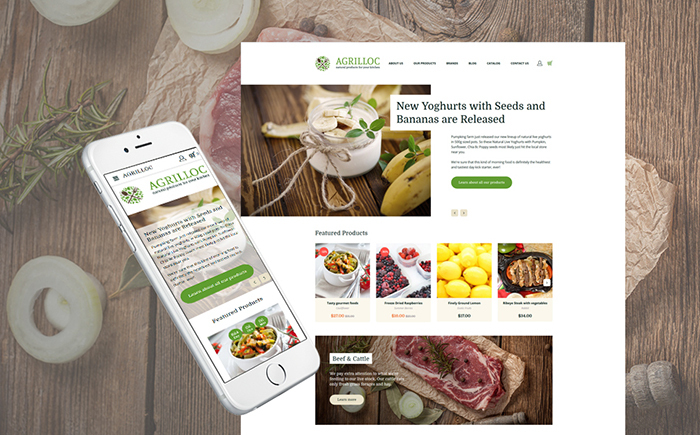 Agrilloc is a truly OpenCart template for a digital food website. It features creative design and advanced options that help to create search engine friendly and all device adaptive eCommerce website. Each and every single element is developed to have outstanding look and reasonable usage. That is why your customers will certainly get a great overall shopping experience. It looks so tasty so that your customers will not be able to stop buying your products. 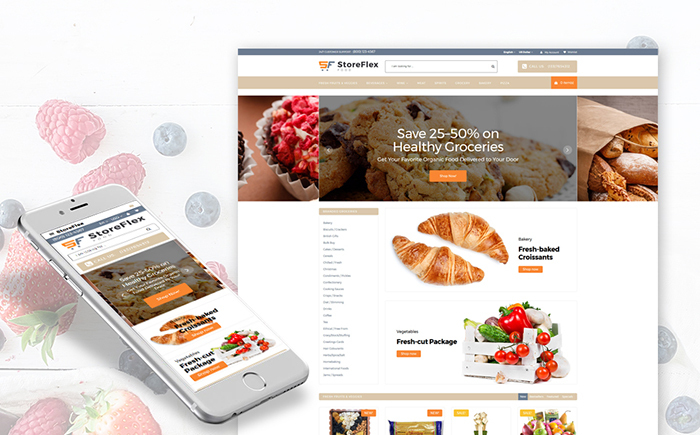 StoreFlex is the ultimate OpenCart theme with well-designed features and a number of editable options providing you with total control over your store. There is everything you need for effective store – quick product view, promo banner, deal of the day feature and other smart solutions for product presentation. When looking at this template a cup of aromatic Arabic coffee appears in mind… It seems that you can touch these coffee beans and smell their unforgettable aroma. By means of functionality, the interface can be translated into the language you want. 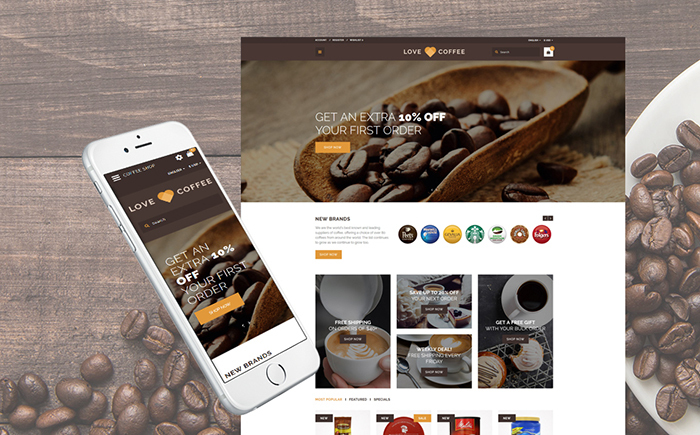 Love Coffee provides users with an exciting blog page, different sorting options, theme color switcher and full screen width slider that boost their interest to browser the store more and more. This OpenCart template is a clean layout with elegant design and easy navigation. It comes with all main eCommerce features: sorting options help online shoppers to find necessary goods, quick product view pops up to provide a buyer with the main item information, multilingual and multi-currency option allows selling products throughout the world. The layout is easy to customize with intuitive control panel with integrated tools. Colorful design of this template goes with a number of well-crafted features. The theme is designed to satisfy even the most experienced shopper. There is everything he needs: comfortable navigation, search, quick view of product information, blog, etc. The user-friendly design is intended to boost your sales and increase client database. Not only stylish but also replete with a number of useful features, Master is easy to work with. With it, you can create a SEO- and mobile-friendly online store without much effort. It comes with multiple customizable options like Ajax search, shopping cart, quick view of items, and the list of social buttons, which make users’ experience on the website more efficient. Sport is very inspirational today. Day by day it involves more and more people of any age and social class since the demand for sporting goods increases as well. 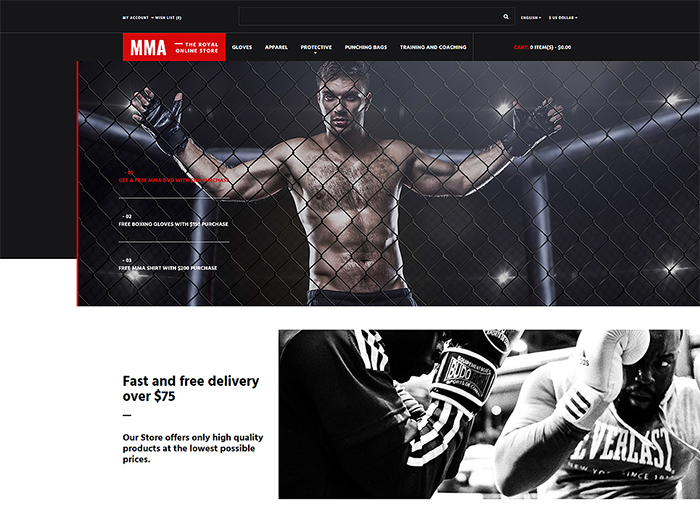 This multilingual fully responsive template will provide with a wide diversity of selling solutions and endless creative possibilities needed to build an efficient eStore. It comes with the main page slider for presenting important information and news, comprehensive sorting options, and amazing Megamenu extension for boosting user engagement on the site. 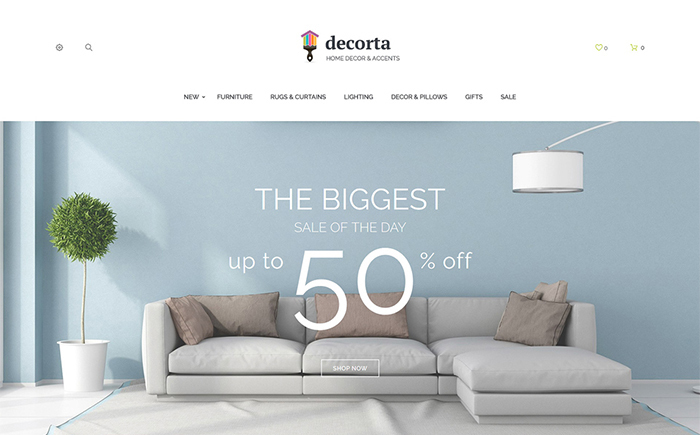 Featuring a vibrant design with flexible images and text, Decorta will come in handy for those who retail goods for interior design and furniture. The layout is developed with a customer in mind since each and every option is fully responsive and customizable. For improving customers’ experience on the website the templates comes with a wide diversity of amazing features: product quick view, wishlist and compare option, mega menu, etc. 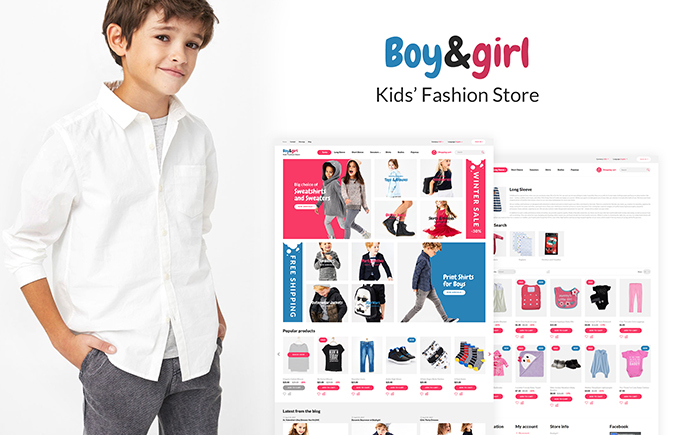 Welcome to fully responsive and adaptive fashion template designed especially for kids’ clothes and goods eStore. This OpenCart theme boasts an engaging interface, easy navigation and social integration. For the conveniences of users, Boy&Girl is built with the tones of web-forms (advanced search, contact form, user registration and newsletter subscription) and such additional features as product quick view and commenting system. This well-documented template is provided with a live demo as well. 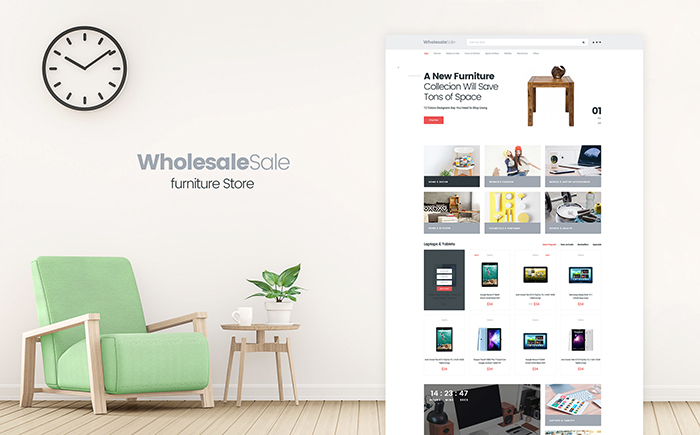 WholesaleSale looks elegant, and works easy. It is developed with flexible texts and images since it’s easy as pie to adapt the template to any gadget with any screen resolution. The user-friendly and SEO optimized theme will help an owner to boost his sales and increase a client database. Your eStore will be provided with an amazing extension Megamenu that is able to show categories, subcategories and posts. Special Price Countdown feature will work for boosting your income since customers are more motivated to click buy button. 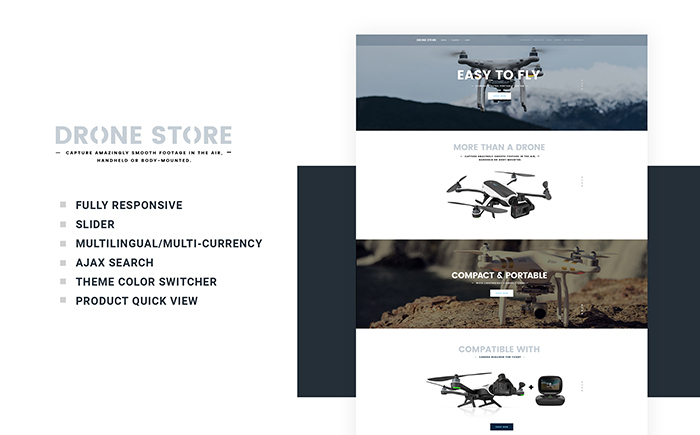 The perfect Drone Store template is waiting for you at the TM Marketplace. It comes with ultra modern and impressive design solutions and numerous comprehensive tools. 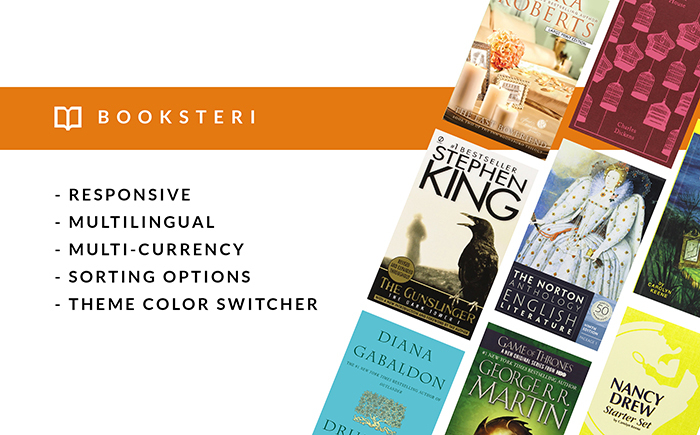 The color palette of the theme is changeable so that an owner will be able to choose the most appropriate for him. There are all necessary features for efficient collaboration with customers. 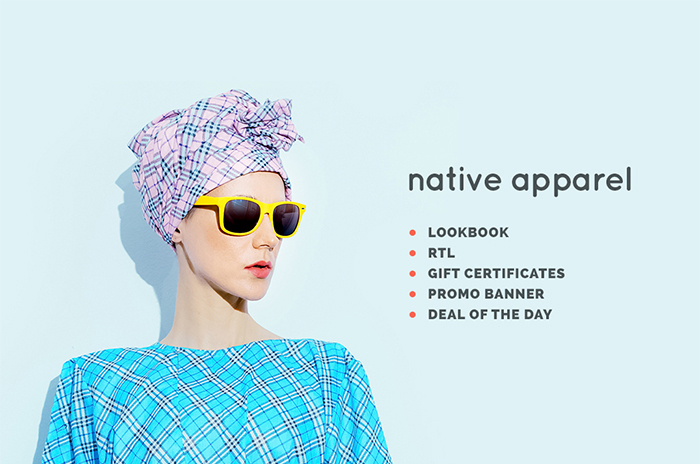 Native Apparel features a Bootstrap framework, Carousel slider, multilingual and multi-currency support, and multiple layout options. For encouraging customers to buy there is flexible conditions for sales and Deal of the Day option. Besides, a customer will enjoy a customized menu with a number of options and various sorting possibilities. So don’t hesitate and install Native Apparel right now. The sooner you will start creating your website the more it will work for your income. This responsive theme is based on Bootstrap that allows fast and easy website development. Tobacco has a handy Admin panel, a vast diversity of colors and fonts, eye-catching slider, and social integration. 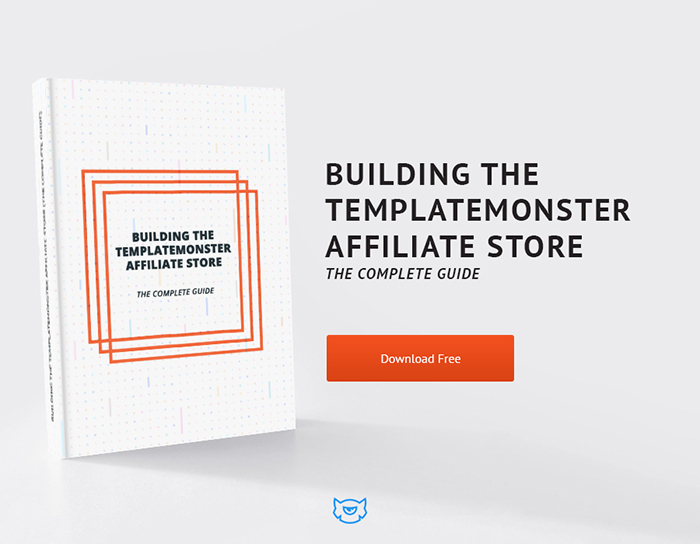 The template features Megamenu intended to boost user engagement and sales. Thanks to in-built user-friendly Ajax Search option, all applied changes stay on the page without its reloading. Do you want to create a lucrative e-commerce website with a huge number of customers and deals? Then you need a captivating interface, outstanding design and user-friendly navigation. 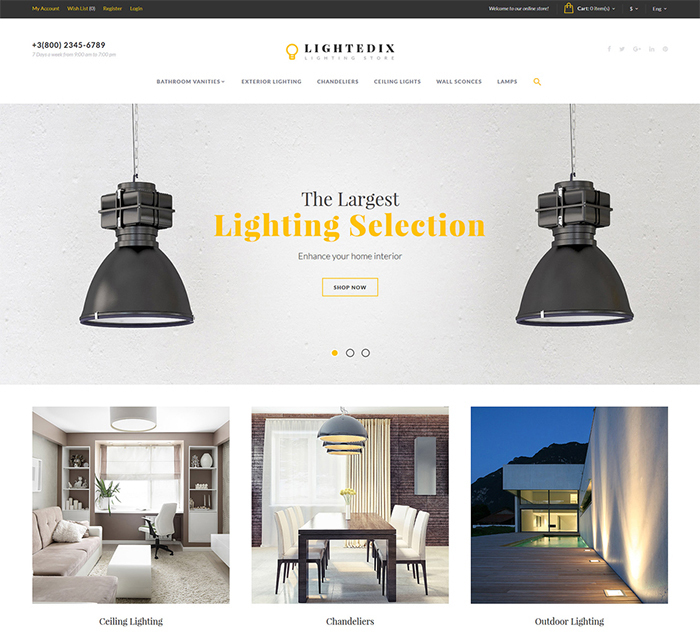 You can find all these features and even more in the OpenCart template – LightEdix. This multilingual responsive theme comes with Product badges feature that indicate the value and status of item. Attention-grabbing additional options and modules will provide more effective promotion of your products. 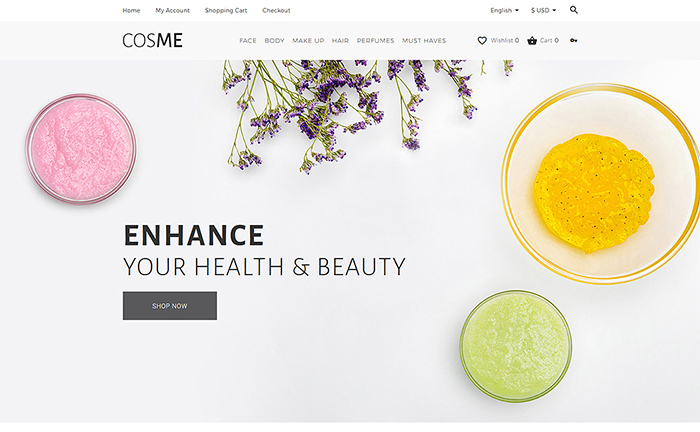 Full of features and easy to customize, CosMe is a perfect choice for e-commerce website – a small beauty shop or a large cosmetics store. This cross-browser, well-documented, clean-code and fully adaptive template proves to be among best OpenCart templates. Everything from the simple navigation to the screen width slider and product badges is intended to draw attention of your visitors and increase sales. This monochromic theme comes with a powerful Admin Panel that is easy to use and customize. 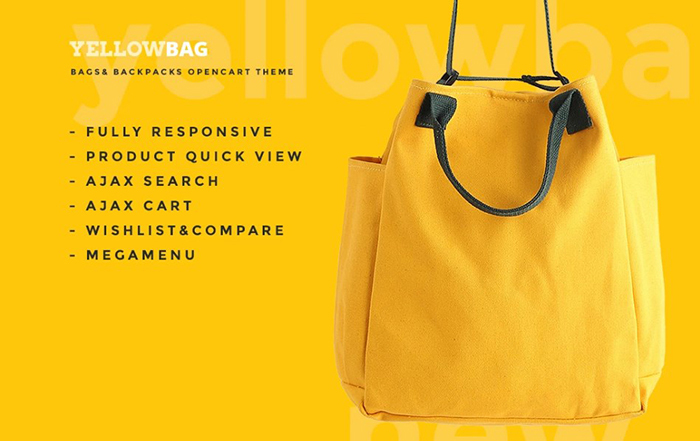 You can give your bag store the look you dream of with Carousel slider, different Google fonts, and color switcher. The template equipped with visual and functional modules will work perfect on any mobile with any screen resolution. All the themes on our list are well-documented, fully responsive and adaptive to the needs of mobile users. Keeping your e-commerce website functional and neat allows your customers to focus on the process of buying. If you want to know more about possibilities of ready-to-use templates, eBook is waiting for a grateful reader!